John B. Neukamm — Mechanik Nuccio Hearne & Wester, P.A. John Neukamm engages in a varied real estate and business law practice, including representation of parties to real estate and business transactions, businesses and business owners, lenders, borrowers, developers, landlords and tenants. He also serves as an expert witness and has served as an arbitrator in real estate disputes. John is a former Chair of The Florida Bar's Real Property, Probate & Trust Law Section and has been an active member of the Section's Executive Council since 1993. He was the recipient of the Section's Annual Service Award in 1998 and his contributions to Florida attorneys and the public in promoting the highest standards of ethics and professionalism was recognized by the Section with the presentation of the William S. Belcher Lifetime Professionalism Award in 2014. John has previously served as the Section's Real Property Division Director, Treasurer and Secretary, as Editor of its ActionLine publication and has chaired many of the Section's committees, including its Model and Uniform Acts, Real Property Professionalism, Trust Account Issues, Budget, Convention and Real Property Forms Committees and is a member of its Legal Opinions, Real Property Finance & Lending, Commercial Real Estate, Landlord & Tenant, Title Insurance and Bylaws Committees. John chaired the Real Property, Probate & Trust Law Section of the Hillsborough County Bar Association from 1995 – 1996, received the Section’s inaugural Outstanding Lawyer Award in 2009 and has also served the Hillsborough County Bar Association as Chair of its United Way Fundraising, Social and Membership Committees. He has authored articles and presented numerous seminars concerning various real estate issues to legal, real estate and banking organizations, is a member of Florida Legal Education Association and serves as a volunteer lawyer for Bay Area Legal Services. John received a B.S. in Accounting, with high honors, in 1981 and a J.D., with honors, in 1984 from the University of Florida. 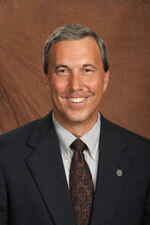 John has been a Board Certified Real Estate Lawyer since 1992, has an "AV" Martindale-Hubbell rating. He has been recognized as a Florida Legal Elite lawyer by Florida Trend magazine, as a Florida Super Lawyer and was elected as a member of the American College of Real Estate Lawyers in 2007. As a member of Leadership Tampa's class of 2002, John is also active in the Tampa Bay community. He is currently an active member of the Downtown Tampa Rotary Club, has served on the Development Advisory Board at Christ the King Catholic Church, has been a Big Brother to two young men and has chaired or served on numerous committees of the local United Way. As an Eagle Scout and father of an Eagle Scout, John has been an active Scout leader, serving on the Executive Board of the BSA's Gulf Ridge Council, as Chair of its Nominating Committee, Chair of the Council's Rough Riders District Committee, which was responsible for all Scouting programs in south Tampa, as a Den Leader and Cubmaster for Cub Scout Pack 4, as a Scoutmaster for Boy Scout Troop 4 and as an Advisor to a local Law Explorers Post.